Two of the most common sights I see every day on the range are players using a driver with not enough loft and those whose swing path into impact cuts across the line of the ball. Both have the effect of starting the ball on a trajectory that is lower than what is needed for the ball to fly the optimum distance. The Trackman Launch Monitor (right) has taught us is the optimum launch angle for a driver is 13˚, so if you use a 9.5˚ loft driver you need to optimise your driver’s carry by hitting the ball on the up by four degrees. To achieve the optimum launch angle and, ultimately, hit your drives as long as possible two things need to happen. 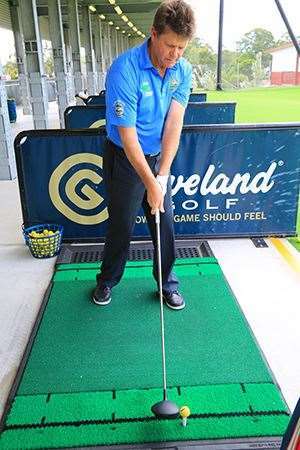 Firstly, your clubhead must attack the ball on the right path, where the club approaches the ball from inside the target line. Secondly, impact needs to be just beyond the bottom of your swing arc as the clubhead is moving up into the follow-through. This path and impact point both add loft to your driver, getting you closer to the desired 13˚ launch angle. Conversely, the incorrect path with the driver – most commonly where you hit down or left – actually de-lofts a 9.5˚ or 10.5˚ down to five or six degrees, which sends the ball out on a low launch angle, with too much spin. We’ve all hit that shot. My whole playing career I would hit the driver like a every other club – slightly down and left through the ball. 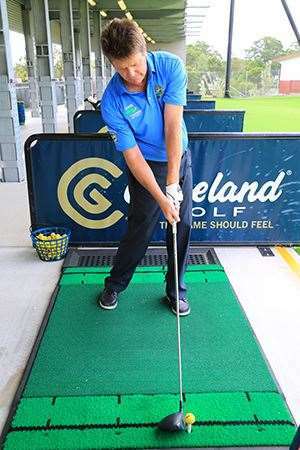 Now, at 51 years of age, and working on Trackman I hit the ball further than ever averaging 245 metres carry and hitting the ball high with a right-to-left shape. If you want to add 10 metres carry, find your nearest certified PGA professional, who uses Trackman, and have a lesson with your driver.